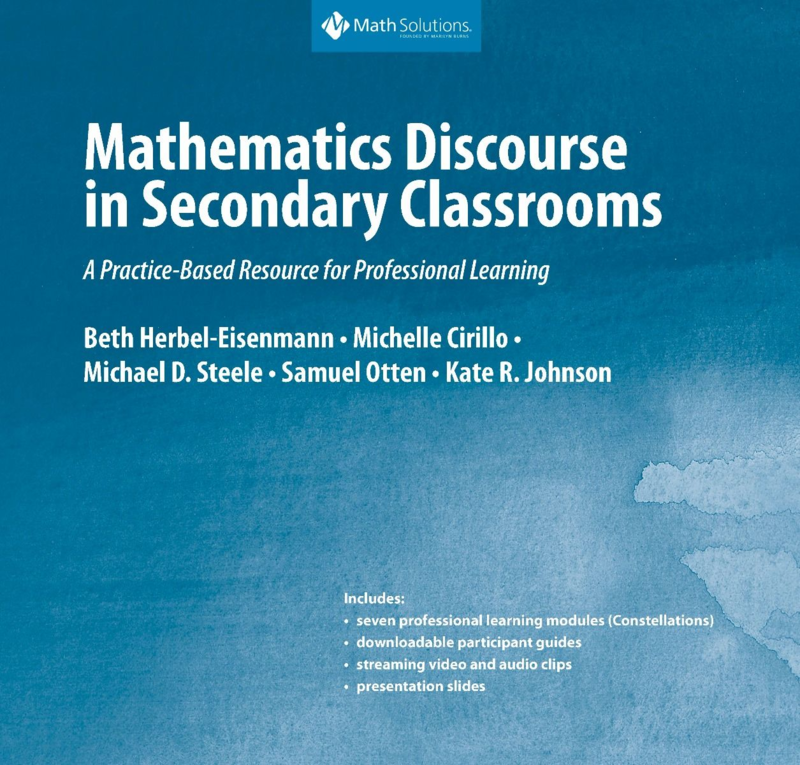 BYU Mathematics Education Assistant Professor Kate Johnson co-authored the textbook “Mathematics discourse in secondary classrooms: A practice-based resource for professional learning”. The textbook was published in November 2017 after eight years of researching, writing, and evaluating. “I wrote most of the material when I was working on my doctorate at Michigan State University, and because of the amount of work and time that I put in, the faculty who is in charge at that time decided to recognize my work and put my name as one of the authors,” said Dr. Johnson. The book provides seven professional learning modules that offer important ideas to assist students to engage in richer and deeper conversations in class, such as what kinds of conversation is more meaningful in learning mathematics. Another purpose of the book is to help create a positive impact on students in identifying themselves as mathematics learners who may become mathematicians. To make sure the materials are user-friendly and effective, the book was put under external pilot program to have professional development team to use. Then the authors refined the writing after observing the teachings and collecting feedback. “So we wrote the whole thing, and we used it to teach a group of teachers, and then we made adjustments to some of the activities to make sure that our materials are clear enough for other teachers to use,” Dr. Johnson said.